We are committed to excellence at Wholesome Nut Company. Our Quality Processing meets or exceeds the highest standards in our industry. Wholesome Nut Company is certified under the food safety and quality standards adopted by Global Food Safety Initiative (GFSI). Sanitary processing operations help us ensure we produce the finest products. Utilizing state of the art equipment supports our goal of excellence in food safety. Wholesome Nut Company employs quality control methods necessary to produce consistently high quality products meeting or exceeding industry standards. We are proud to consistently pack product at above USDA grades and standards. 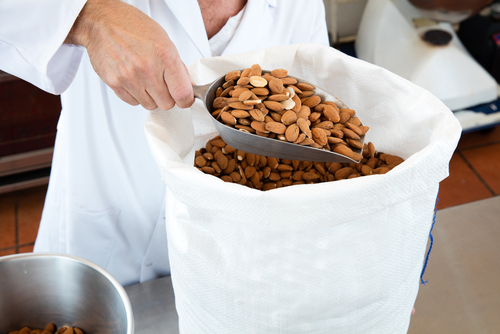 Our incoming samples of hulled and shelled almond meats are inspected at our facilities and meet or exceed United States Department of Agriculture (USDA) standards for variety, grade, and quality. The nut meats, or kernels, are cleaned, sized, and sorted. Our electronic sorting equipment is incredibly efficient. It removes foreign material and any defective kernels. Our highly skilled team is responsible for the hand-visual sorting. This step provides final visual assurance that the product is clean and ready for packaging. Wholesome Nut Company’s food safety standards are among the highest in the industry. With state-of-the-art machinery coupled with our excellent team, we are committed to operate safely in a clean, sanitary environment. Wholesome Nut Company’s team personally ensures each customer order is complete, with all required documents, certifications, and lab tests. With the most advanced metal detection and prevention, laser and electronic sorting and processing equipment, our levels of foreign material are low, which is required to meet the strict specifications of confectionery grade products.